I recently toured a temporary shelter in Homestead, Fla., that houses unaccompanied alien children (UAC). According to J. J. Mulligan of U.C. Davis' Immigration Law Clinic, the center is worse than a prison; it is more like a concentration camp. Is this description deserved? We must have toured different shelters. The Homestead shelter is not a prison, and Mulligan has basic facts wrong about the entire operation. Both Tornillo and Homestead are unlicensed facilities that do not meet the standards of care in the states where they are located, nor do they comply with the Flores agreement. This includes the failure to perform basic background checks on facility staff, much less the onerous scrutiny to which they have been subjecting would be sponsors. Our guide explained that federal temporary facilities receive the same investigative oversight as permanent shelters; the current laws do not require federal facilities to undergo licensing in the states in which they are located. Congress could change this if they wanted to — it is not HHS negligence. The 50-acre facility is an unused Jobs Corps campus converted in 2012 to handle to influx of UACs. When I arrived, protesters stood outside the perimeter waving signs that read "Children in Prison for Profit" and "you leave; the kids can't". 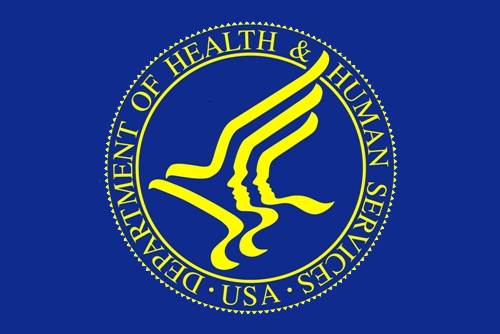 The Department of Health and Human Services (HHS) is responsible for the care of UACs. The primary goal of UAC shelters is to match the UACs under their care to sponsors in the United States. Most sponsors are family members already in the country, and HHS releases most UACs to these sponsors within 50 days. Those who stay longer either do not have a sponsor at all or HHS cannot verify that their proposed sponsor is not actually a human trafficker. lured the children into the United States with promises of education and a better life. After DHS apprehended the children and transferred them to HHS, members of the ring applied to serve as their sponsors by posing as family members or friends of the children. Once HHS placed the children with the traffickers, the traffickers put the children into forced labor on an egg farm in Marion, Ohio. The children worked for no pay for 12 hours a day, six to seven days a week, and lived in deplorable conditions. The traffickers threatened them and their families with violence if the children did not comply with them. Again and again, Mulligan contorts the truth to fit his preferred narrative. He fabricated the claim that there is a "failure to perform basic background checks on facility staff" when in fact all staff undergo rigorous background checks requiring fingerprints, checked against national crime databases. Unfortunately, he is not alone in distorting facts for a good story. During my tour it was clear that media representatives were doing their best to find any shortcomings within the shelter. When shown the dormitory lounge area used by the under-17 children, one reporter asked whether the minors had access to cable news. In a moment of self-aggrandizement, she claimed that they surely yearned for cable news, and suggested that perhaps the staff had forbidden them from watching such channels. Our guide replied that they did, in fact, have access to the news, but that the children were far more interested in watching soccer and playing FIFA on the Xbox. Whenever we passed groups of children walking between buildings they always greeted our guides and waved to us with smiles on their faces. I'm not saying that this is a perfect place. But I did not see anything close to what Mulligan describes in his testimony as "extremely traumatized children, some of whom sit across from us and can't stop crying over what they're experiencing." I'm sure that Mulligan never paused to consider that it was the tortuous journey to the United States, rather than the shelter, that caused such trauma. It is important to note that the majority of these children were not separated from family at the border by CBP, but rather sent on the journey alone by family who chose to remain in their home country. This surely is traumatizing for any child. Reporters ignore key facts about the shelters. First, Homestead is not a secure environment. By that, I mean there are no armed guards, no barbed wire fencing, and no security features one would expect to see at a detention facility. Our guide noted that foreign consular staff and lawyers can take children they represent out of the facility at any time. It is important to note that children cannot "leave" the campus unattended, much like a child at summer camp is not permitted to leave. It would be grossly negligent to allow a minor to wander around the city unattended. Children receive three meals a day. They receive a free five-day supply of clothing. They take educational assessments and attend school, sometimes for the first time in their lives. All children receive mental and physical health screenings, including vaccinations. HHS assigns them a caseworker who helps them find a sponsor, vets one if they have one, and keeps them in contact with family and friends back home. Children over 17 and within three months of their 18th birthday receive additional resources to find a suitable sponsor, lest they age out and transfer to ICE custody. Mulligan et al. would have you believe that HHS acts as an arm of ICE, when in fact they actively work to get children sponsors before they turn 18. No one is saying that Homestead is a paradise, and there is always room for reform. I've been critical in the past of federal agencies outsourcing their work to contractors. It is clear that HHS should work to expand the capacity and quality of their permanent shelters instead of relying on temporary ones. But to smear the Homestead shelter as a prison is farcical. HHS handles pairing and vetting thousands of unaccompanied minors with sponsors. They always act with the children's best interest, to the best of their ability. Until Congress plugs the loopholes that lead to the catch-and-release policies, this illegal immigration will continue. HHS must remain committed to humanely addressing the crisis of unaccompanied minors. And short of releasing minors into the care of questionable sponsors, facilities such as Homestead must exist for the sake of these children.